Sometime before the first World War, Wilhelm and Wilhelmina changed their and their children's surname from Bottcher to Burcher. I assume this was because Germans would not have been really popular around the time of the first world War. Wilhelm also changed his Christian name to William. Wilhelm August Christian Bottcher was born in December 1860 Prenzlou, Kleinow Province, Brandenburg State, Prussia. His father was Christian Bottcher who was a boilermaker and his mother was Christina (or Freda) Reibow. He married Wilhelmina Louise Christine Dahn on the 18th Nov 1881 in Blankenburg, near Berlin,in Brandenburg, Prussia. Wilhelm, Wilhelmina and their 4 children Marie (Mary), Hans (John), Wilhelm (William) and infant Rudolph left their home in Prussia and journeyed to England where they stayed for a short period as new born baby Rudolph got sick. They sailed from England to Australia aboard the Bulimba. The Bulimba was a 2510 gross ton ship, length 96.26m x beam 11.64m, one funnel, two masts, 11 knot single screw steamer built in 1881 by A & J Inglis, Glasgow for the British India Steam Navigation Co. The Bulimba left Gravesend England on the 28th June 1887 at 5pm and travelled via Malta to Port Said, Port Said. They continued their journey through the Suez Canal into the Red Sea. At the southern end of the Red Sea the Bulimba stopped at Aden, then continued to Point de Galle. Galle is situated on the south western tip of Sri Lanka, then known as Ceylon. Then continuing across the Indian Ocean, sailed through the Sundra Straits and at 11.50pm on 2nd August arrived at Tandjock Prior Harbour, near Jakarta. The ship observed strict quarantine and finished coaling at 4am on the 4th August. The journey was continued on to Thursday Island and down the east coast of Australia via the ports of Cooktown, Townsville, Mackay, Bowen and Rockhampton. 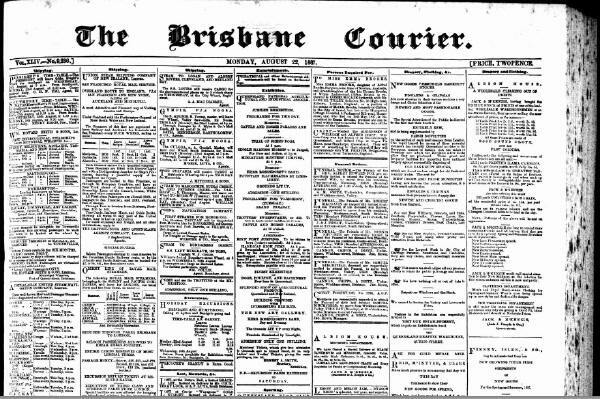 Finally arriving at their destination of Brisbane Queensland, on 22nd August 1887. 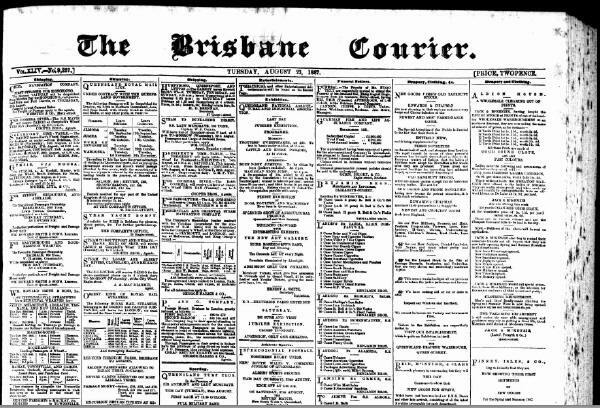 Immigrants arriving in 1887 most likely would have gone to the newly opened Immigration Depot at Kangaroo Point, which replaced the old barracks at William Street. Government, as at the time Australia was looking for new workers. The warrant was then forwarded to the relative or friends in Europe and their passage would then be arranged by a representative in the respective country. Whether, there was a family member already here or a firm nominated them is still unknown and will most likely never be found out as in 1898 the Brisbane River Flooded destroying the majority of government records and the list of Free Nominees for this period was destroyed. They first stayed at Albion which was then situated in the Caboolture district, approx 5km from the now Brisbane central business district. Later they lived on a dairy farm in the Ipswich area. Wilhelm Was granted all the rights and capacities within the said Colony of New South Wales of a natural born British Subject. A copy of the Certificate of Naturalization granted to Wilhelm August Christian Bottcher. Death Certificate Registration number 1928/003716. "Bullimba" ship on the 22nd of Aug. 1887.
for about 3 years. It would be good to find out who nominated them.